When we think of eating disorders, many of us are under the impression that the condition is simply abstaining from food or purging after food in a bid to lose or maintain a low weight – however, eating disorders don’t always lead to weight loss and cover a range of different disordered eating habits. Eating disorders are one of the most common mental health conditions and the mental health condition with the highest mortality rate – due to both medical complications and suicide. Around 1.6 million people suffer with some form of disordered eating in the UK, however only 11% of sufferers are male. Eating disorders most commonly occur between the ages of 14 and 25 – making the condition most prevalent in young women – however, anyone can develop a disorder at any time in their life. Previously, it was estimated that of those who suffer with eating disorders in the UK, around 10% will be diagnosed as anorexic, around 40% as bulimic and the remaining 50% with OSFED (otherwise specified feeding or eating disorder) which includes those diagnosed with BED (binge eating disorder). In 2013 the Diagnostic and Statistical Manual of Mental Disorders removed the OSFED category and made Binge Eating Disorder a recognised condition. Often eating disorders – particularly anorexia and bulimia – can cross over, with those suffering from anorexia eventually developing bulimia and vice-versa. Around 46% of those suffering with anorexia and 45% of those suffering with bulimia will recover completely from the condition after treatment. Anorexia Nervosa is arguably the most well-known form of eating disorder – where the sufferer abstains from eating food in order to lose weight. 90-95% of sufferers are female and 5-20% of those diagnosed with the condition will lose their life due to the condition. Whilst anorexia is a mental health condition, it can have irreversible and life-threatening physical consequences – especially if the sufferer has starved themselves over an extended period of time. Like with Anorexia, those suffering from bulimia are trying to lose weight – however rather than abstaining from food the disorder is defined by periods of binging, followed by purging or fasting. 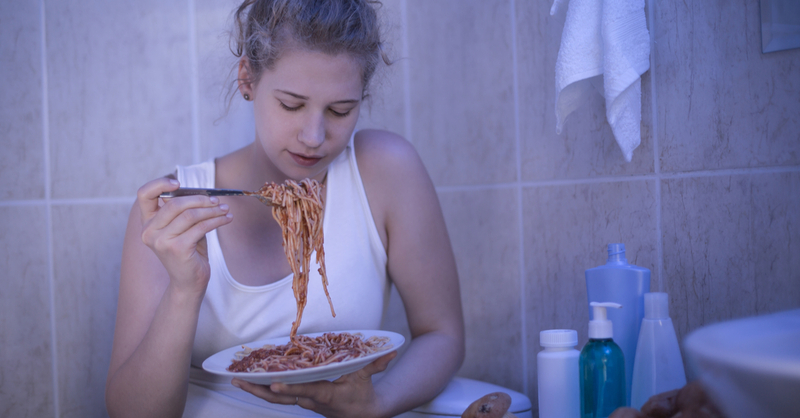 Those suffering with bulimia often describe uncontrollably binging on food – often in secret – followed by vomiting, fasting, excessive exercise or the use of laxatives in order to not gain weight. Like with anorexia, bulimia can cause a number of severe medical complications and lead to death if left untreated over an extended period of time. Binge Eating Disorder was only recognised as a diagnosable condition 10 years ago and is now reported as the most commonly occurring eating disorder in the United States. Like with Bulimia the sufferer experiences regular episodes of binge eating – often to the point of discomfort – however these binge eating episodes are not followed by periods of fasting or purging. Often the disorder leads to weight gain, sometimes leading to obesity – as well as a number of health problems including diabetes and high cholesterol. Episodes of binging are uncontrollable and followed by periods of shame, distress or guilt. Recent studies have found the number of those suffering with an eating disorder in the UK are on the rise and many experts believe it is down to the increasing pressure put on young people – particularly women – to look a certain way and maintain a certain weight in order to fit into societies ideals. The growth of social media – especially photo sharing apps such as Snapchat and Instagram – is also thought to have played a part in the rise of young women struggling with eating disorders. In a world where many of the celebrities we follow have their own dietician, personal trainer, a photographer and a photo-shop expert at hand wherever they go (as well as access to some of the best plastic surgeons in the world) many young women feel pressure to achieve unrealistic body goals, often the catalyst in mental health conditions such as eating disorders. If you think you’re suffering from an eating disorder – whether it be anorexia, bulimia or binge eating disorder – with the right help in place around 50% of all sufferers can recover completely from the condition, whilst a further 30% will experience a measurable improvement. Don’t wait to seek help in getting better – the sooner you find treatment, the more likely you are to recover. For those suffering with eating disorders a combination of medication and therapy is often the best way to get back on track and on the road to recovery. Online therapy is a great way to combine therapy with your already busy schedules, without the need to leave the comfort of your own home – perfect for those who are suffering medical complications as a side effect of an eating disorder. Learn more about how online therapy works, and more importantly how it can help you on our site.